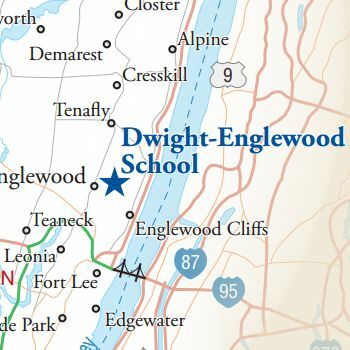 Dwight-Englewood is conveniently located within minutes of the George Washington Bridge and all major highways in the New Jersey and New York metro area. Visitors must use the Lincoln Street guard house entrance between the hours of 8:30 AM and 2:30 PM, Monday through Friday. 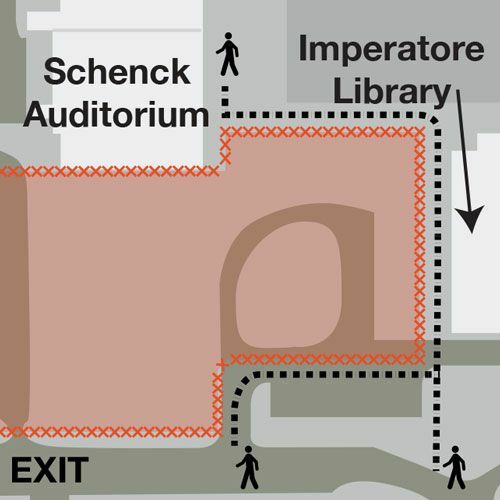 Visitors attending evening events may enter campus via Lincoln Street or North Woodland Street entrance. Take the upper level of the George Washington Bridge to Palisades Interstate Parkway (North). Continue with directions below. Exit at Jones Road. Turn right (north) onto Jones Road and continue to the first traffic light. Turn right onto East Palisade Avenue. The School is one block up the hill on the left. Stay in the local lanes (which are the rightmost 2 lanes) and exit at Broad Avenue, Leonia/Englewood (Exit 71). 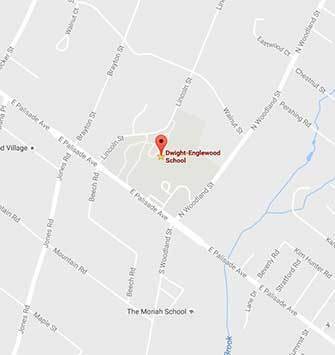 Turn right onto Broad Avenue and continue north (Broad Avenue becomes Dana Place in Englewood) until the T-intersection at the traffic light. Turn right onto Palisade Avenue. The School is two blocks up the hill on the left. Take Exit 1 and bear right onto East Palisade Avenue. Proceed on Palisade Ave. through three traffic lights. The School is on the right.